Drilling budgets set last year are remaining mostly unchanged despite changes in crude prices. Oil prices have remained anything but steady over the last few years. This led to tighter budgets and a larger focus on doing more with less. That philosophy isn’t changing, despite the slow upward creep of oil prices. In fact, operators are looking for ways to save even more money. One of the big focuses for many producers this year is shoring up debt and giving a return to investors. Paying off debt in anticipation of using future profits for growth puts producers in a stronger position. Paying stakeholders will keep them onboard with future projects. These are smart moves that will allow producers to leverage all the growth in production and advances in technology coming down the pike. Producers are finding better ways to approach production with more austerity. Crude prices are on the rise. Normally, this means drilling budgets would keep pace with that rise as well. Instead, producers are set on keeping their budgets at levels derived when prices were lower. Some are actually reducing their spending even more. Producers are hedging against the price of crude. They will use the expected cash flow from future profits to fund current operations. There is some risk to such plans. But, with forecasts showing an overall increase in US production, OPEC sticking to its production cuts, and Permian drillers doing better than ever, playing it safe may certainly pay off. The cost of frac sand represents one of the many costs producers must deal with. Frac sand must adhere to strict quality standards. The Tier 1 frac sands of extremely high quartz purity come at a premium. In addition, that refined sand also has been coming from over 1,000 miles away in the Midwest. So, not only do producers have the cost of premium sand, but also a substantial delivery cost as well. Increased well completions goes hand in hand with the increased demand for frac sand. As is typical in the world of supply and demand, increased demand is often accompanied by increased pricing. 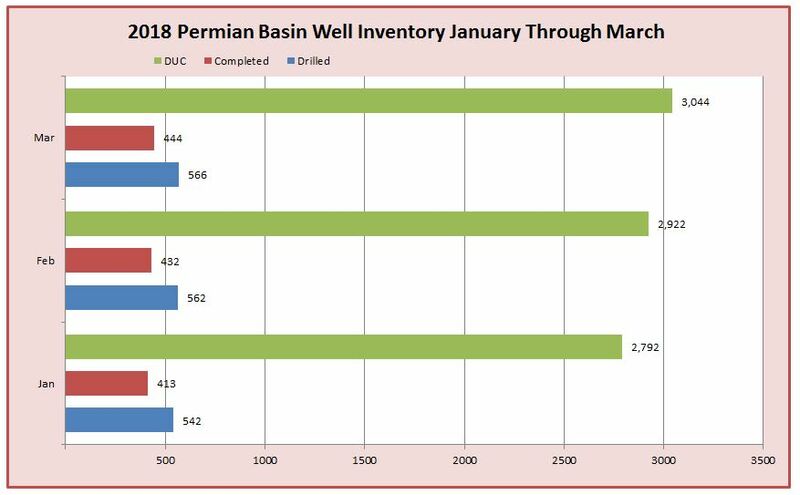 Permian producers used about 82 million tons of frac sand in 2017. Demand is expected to increase to over 100 million tons in 2018, and over 115 million tons in 2019. The average horizontal can require between 1 and 2 tons of frac sand with each lateral foot. Altogether, a single well may need 6,000 or more tons of sand. That can require 300 or more trucks just to feed one well. Compounding the problem is the fact frac crews have become better and more efficient with their use of frac sand. A crew can empty about half those trucks in a day. The good news is mines in the Permian itself are now producing frac sand which meets industry standards, and in enough volume to feed the growing activity in the Permian. In-basin frac sand can certainly help cut costs. Producers can see a potential savings of up to 50% by eliminating the long-haul costs of frac sand from Wisconsin to Texas. As the frac sand mining functions increase, improve, and become refined, the reduced costs will become even more apparent. Some estimate the savings via the use of in-basin frac sand could potentially reach $500,000 per well, or 10 to 20 percent per well. The logistics chain developed from these activates will increase the efficiency of drilling operations for the hundreds of shale operations in the area. This development will help to tremendously increase fracking capabilities in the region by the end of 2018. No matter what method producers employ to keep their balance sheets looking good, the fact is they’re treating 2018 like it’s still 2017. They’re paying off debt, lowering spending, giving back to stakeholders, and generally playing it safe in anticipation of doing even more in the next year. Producers don’t want to get caught scrambling to keep up with volatile oil prices. Instead, they’re trying to control the situation and reap the benefits of the rising price of crude.